To celebrate the 15th anniversary of Deus Ex, Square Enix are authorising a fan-made mod for the classic immersive sim. Created by Caustic Creative, the mod overhauls the environments and soundtrack of the original Deus Ex and is available to download for free today on Steam. More Deus Ex? 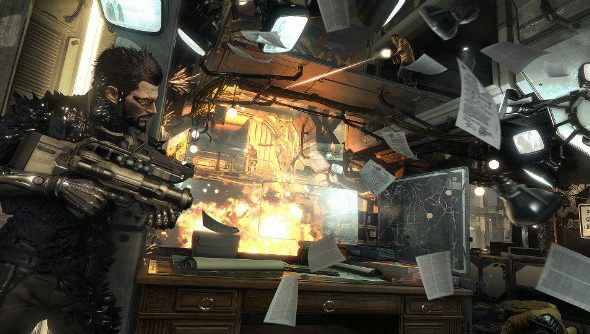 Read our impressions of Deus Ex: Mankind Divided and how it aims to be more than just ‘sneak or shoot’. Revision will be available to download on Steam at 10pm (PST), but you obviously need to own Deus Ex to use it, because that’s how mods work. Luckily for those who don’t own it, you can grab Deus Ex: Game of the Year Edition for 80% off in the Stealth Steam Sale, running from October 13 to October 16.